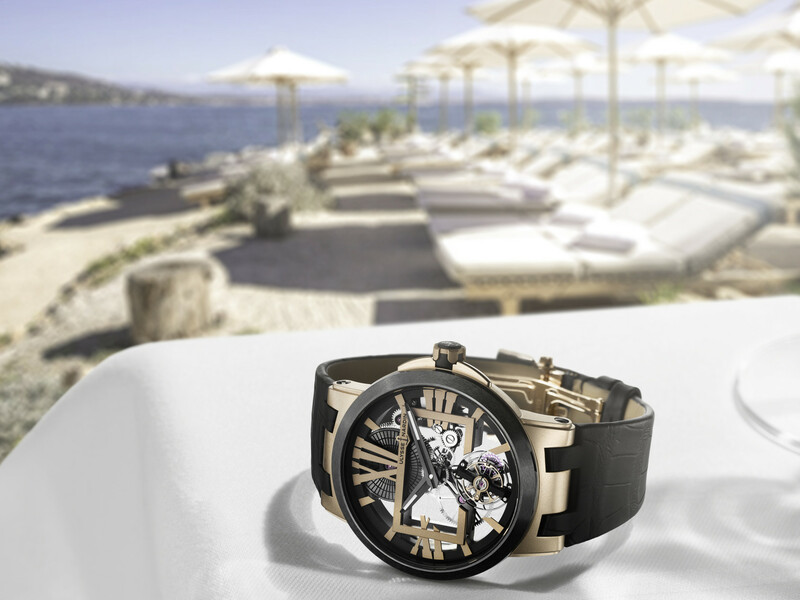 There are two sides to Ulysse Nardin. One built on the high seas, and historically home to highly accurate marine chronometers. And another that pushes the boundaries of what’s possible in watchmaking, bursting with technical marvels and avant-garde designs. 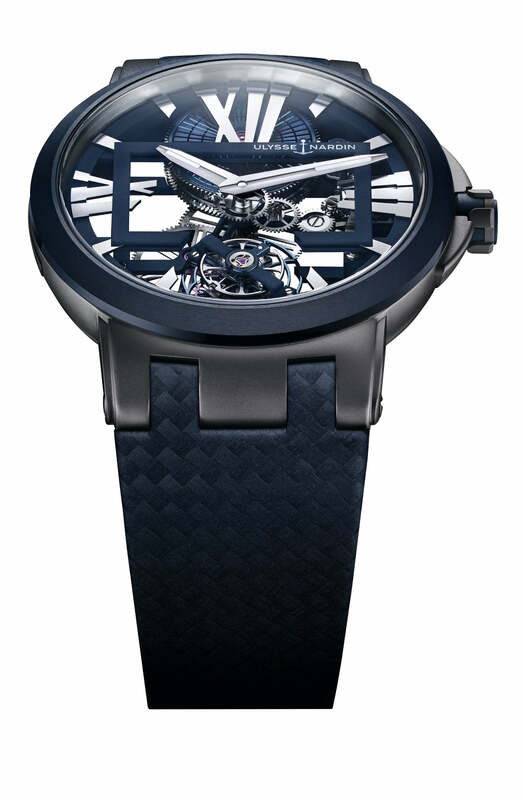 Falling heavily into the latter category is the Executive Skeleton Tourbillon. First introduced in 2016, its 45mm ultra-lightweight titanium case is topped off by a black ceramic bezel and a dial that allows full view through to the openworked UN-171 movement within. Showcasing what Ulysse Nardin does best. The movement features an impressive 170-hour power reserve, as well as a flying tourbillon – comprised of a silicium balance spring and escapement wheel – that takes its pride of place at six o’clock. While large, stylised Roman numerals and polished hour markers appear to float around a centred matte black rectangular bridge. And easy to read sword-style hands are given a coating of lume for maximum legibility. Perfect for your black suit and tie, nine-to-five type exec. 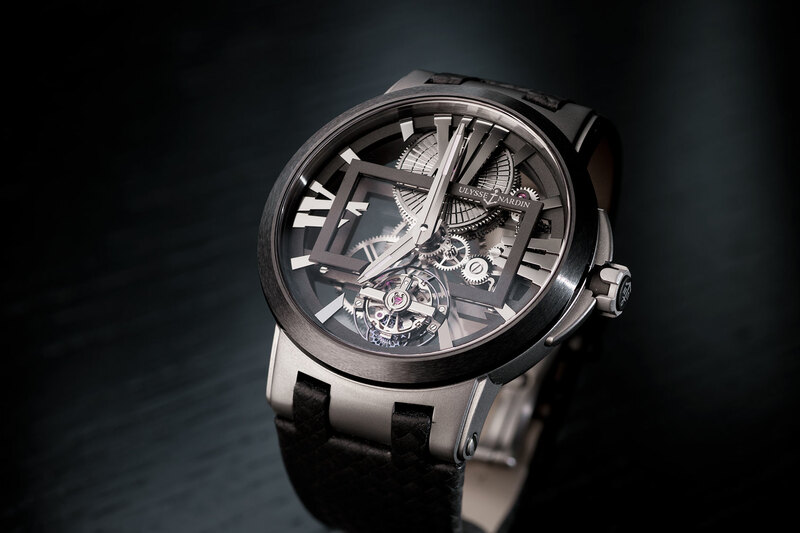 If that’s not you however, and you’re after something a little better-fitting for your boardroom persona, Ulysse Nardin have since introduced newer versions of the Executive Skeleton Tourbillon, and below we’ve got your white-collared back, with some helpful suggestions. First up, there’s the heavyweight. Gone is the titanium case, and replaced by solid 18ct rose gold. And the hour and minute hands are now a matte black, and contrast with the rectangular bridge and hour markers, which, like the case, have been given the Midas touch. One for the CEO. Next is this little blue number. Okay, maybe it’s not so little – still measuring 45mm across – but it is very blue. From its ceramic bezel to the movement’s barrel and rectangular bridge, even its carbon structured leather strap. With blue very much still in vogue, this one is for the office trendsetter. 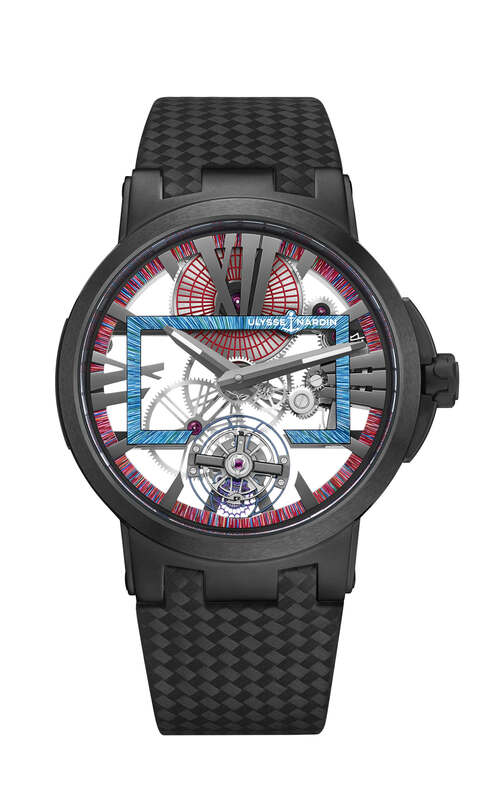 Finally, there’s the latest addition to the Executive Skeleton Tourbillon family — the Hyperspace. Inspired by one of the fastest ships in the Star Wars galaxy, the Millennium Falcon, and available in three different versions, each with their own brightly hand-painted rectangular bridge and outer dial ring. You’re an explosive personality. Someone like Han Solo, who’s likely to shoot first.